Significant changes in one of the Earth's most important ecosystems are not only a symptom of climate change, but may fuel further warming, research suggests. One of the biggest studies to date of key vegetation in the Arctic tundra provides strong evidence that dramatic changes in the region are being driven by climate warming. Studies of tundra shrubs - which act as a barometer of the Arctic environment - show that they grow more when temperatures are warmer. Increased shrub growth, driven by recent and future warming in the Arctic, could cause more warming in tundra ecosystems and for the planet as a whole. Taller shrubs prevent snow from reflecting heat from the sun back into space, warming the Earth's surface. They can also influence soil temperatures and thaw permafrost. Increased shrubs can change the cycling of nutrients and carbon in soil, affecting its decomposition and the amount of carbon released to the atmosphere. All these factors can contribute to climate warming both in the Arctic and on a global scale. 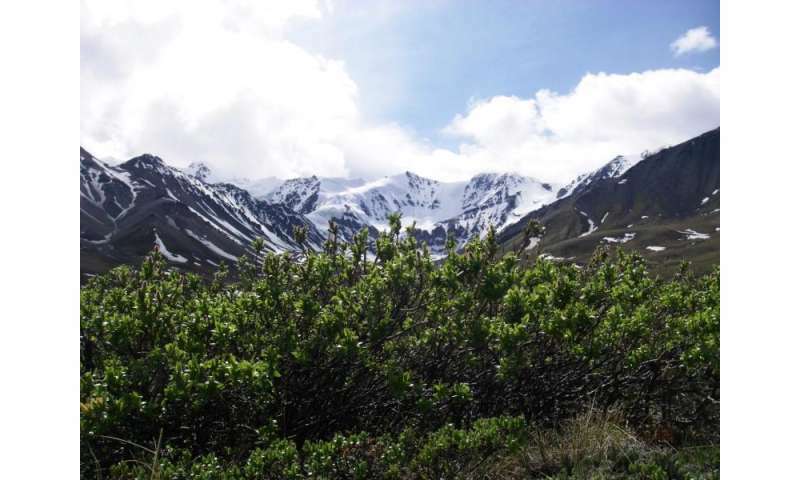 Shrub species in wet landscapes at mid-latitudes of the Arctic are the most sensitive to climate warming, the study found. These areas are vulnerable to change as they store large amounts of carbon in frozen soil, which could be released by warming and permafrost thaw. 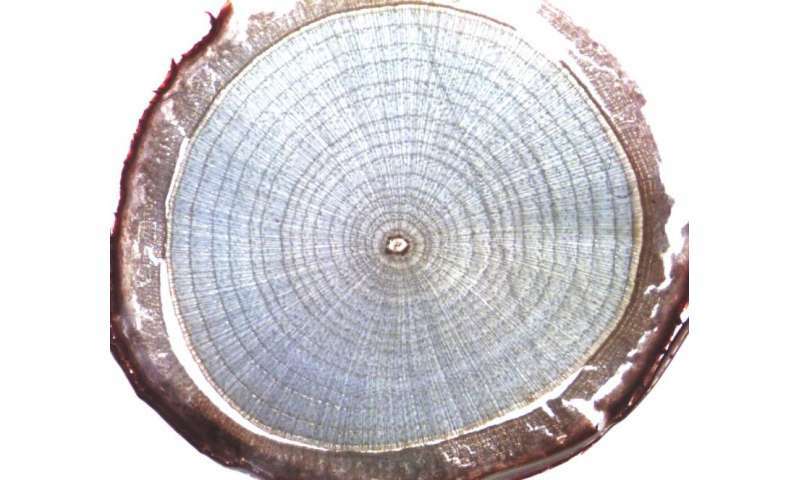 An international team of scientists at 37 sites in nine countries, led by the University of Edinburgh, studied records of shrub growth spanning 60 years by analysing annual growth rings in the plant stems, to explore links between climate and vegetation change. The study, published in Nature Climate Change, was funded by the International Arctic Science Committee. The findings will help improve models of future changes to tundra ecosystems and the impacts of these changes on the global climate. Dr Isla Myers-Smith, of the University of Edinburgh's School of GeoSciences, who co-ordinated the study, said: "Arctic shrub growth in the tundra is one of the most significant examples on Earth of the effect that climate change is having on ecosystems. Our findings show there is a lot of variation across this landscape. Understanding this should help improve predictions of climate change impacts across the tundra."